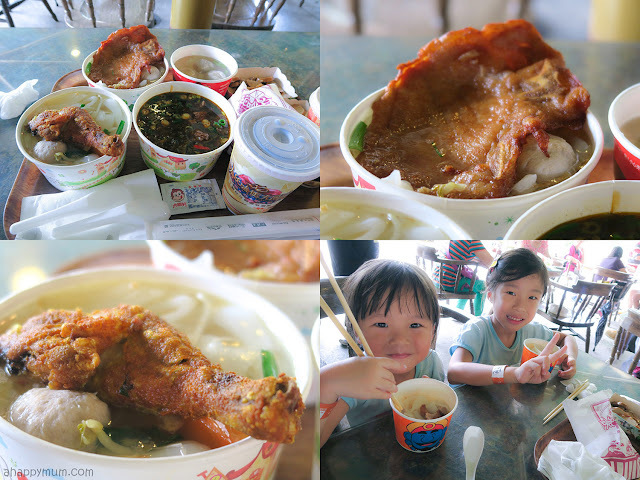 Yes, I'm finally writing about our trip to Taiwan! 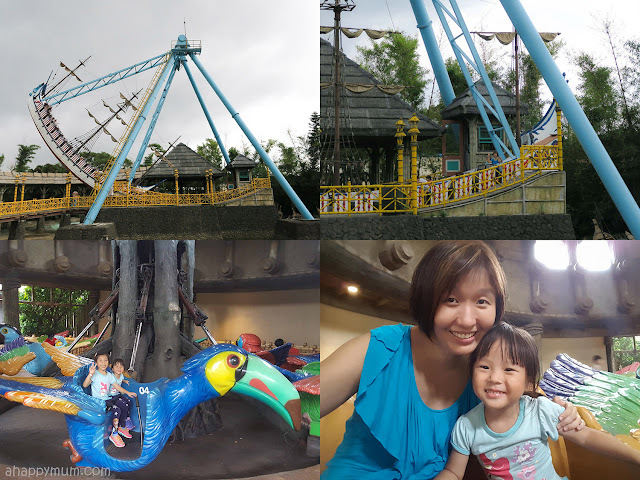 This, being our only vacation this year, was one that was filled with exhilaration and joy and we planned the bulk of it for our girls - who adore animals, bugs and love to come up close with nature, but also dig the thrill of theme parks and amusement rides. 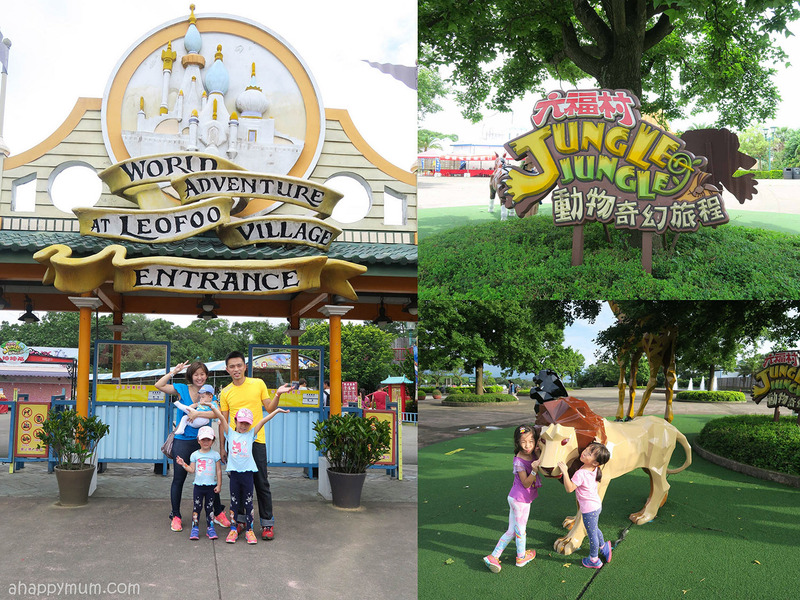 Today, I'm sharing with you one of the highlights of our trip - LeoFoo Resort Guanshi and LeoFoo Village Theme Park. The kids had so much fun there that they probably wished we could have stayed on forever. It combines all their loves and I am just so happy that we made it! Situated in Guanshi, Hsinchu County, LeoFoo Resort Guanshi offers 161 rooms modeled after African Safari styles, which can each house between two to six people. 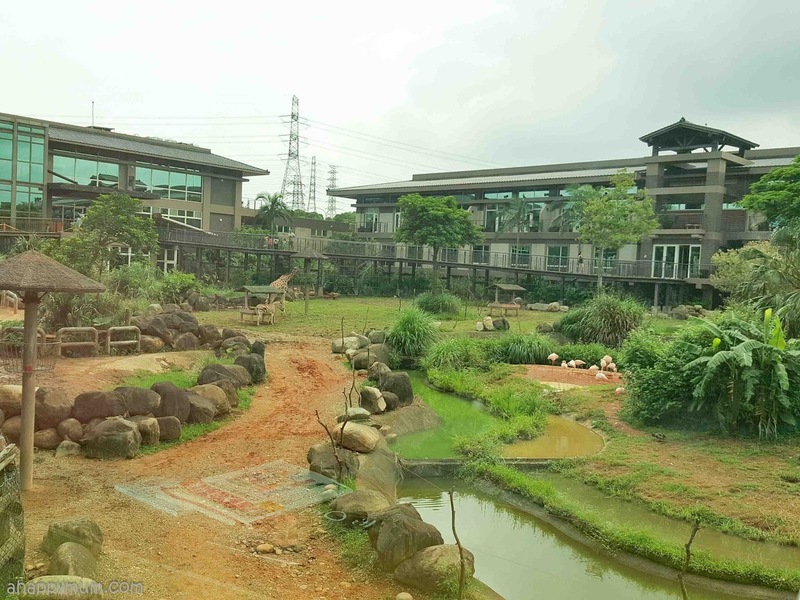 Touted as the only safari themed resort in Asia, LeoFoo Resort's main architectural inspiration comes from the animals and it allows its guests to come up close with them in an ecological landscape. 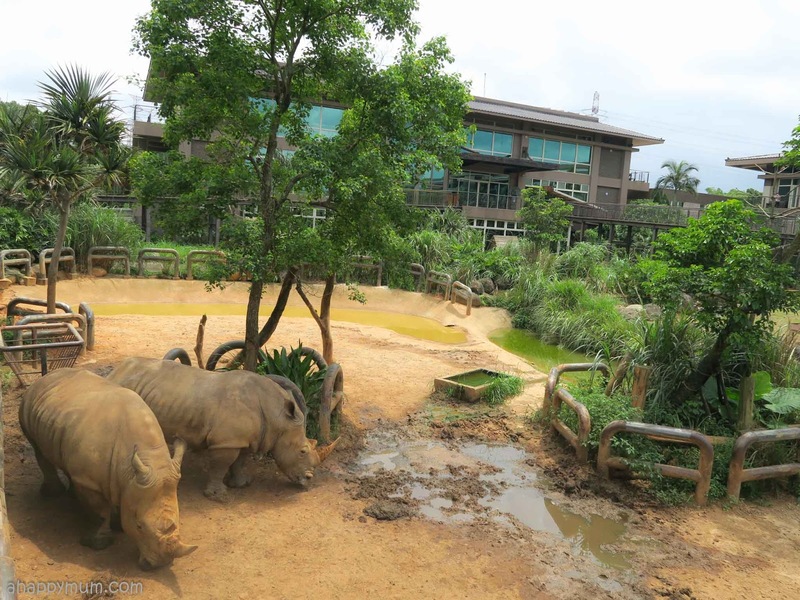 All the guest rooms feature full bay windows that allows you a view of the many different types of free-range African herbivores, including giraffes, rhinoceros, zebras, ostriches, North Africa bearded goats, ring-tailed lemurs and Sulcata tortoises. 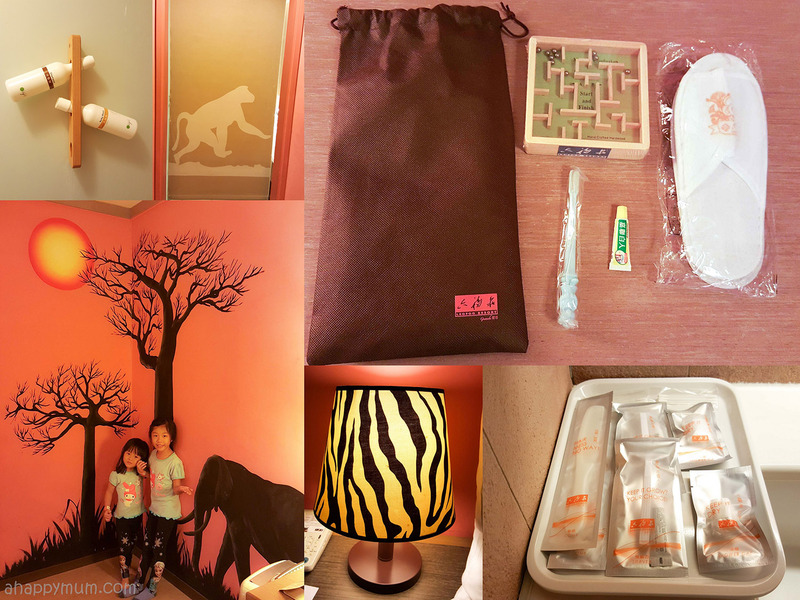 For tips on which rooms have the best view, read Bumble Bee Mum's post here. 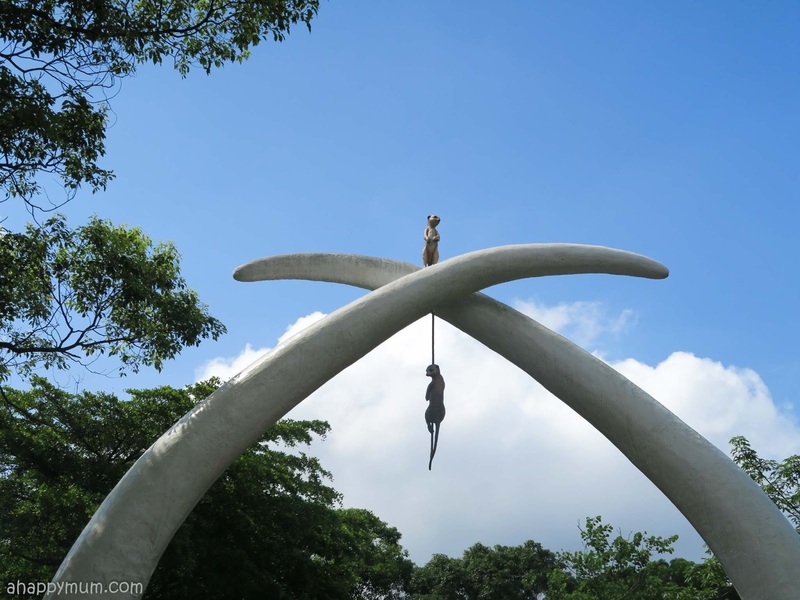 If you are coming here from Taoyuan International Airport, it only takes a 30-minute ride to get to LeoFoo. 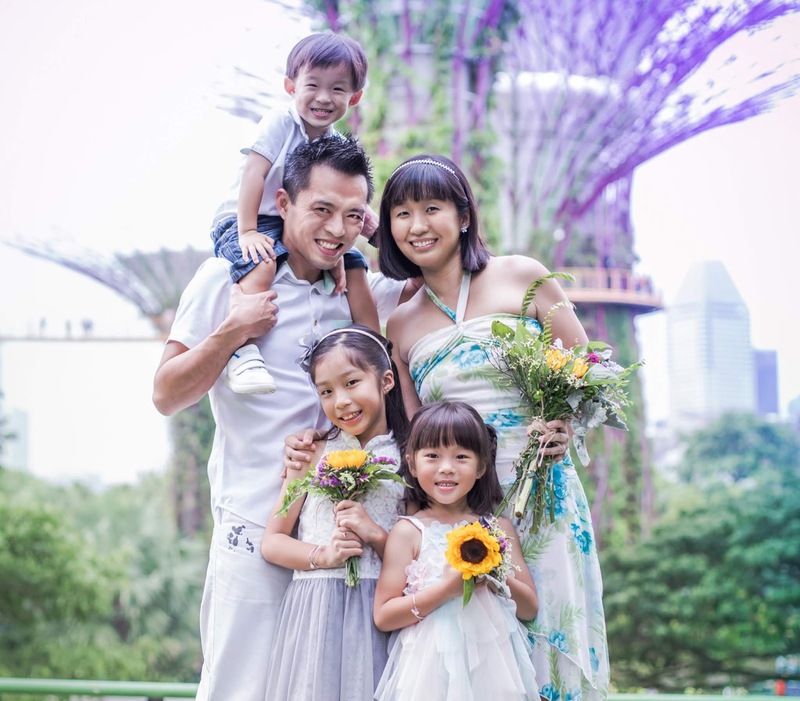 Now, considering that it costs a hefty S$500 or more for one night stay in a family room, many people will opt to stay for a single night just to have been here and done that. For me, my rationale is since you've travelled all the way to visit this place, you should just make the most of it. 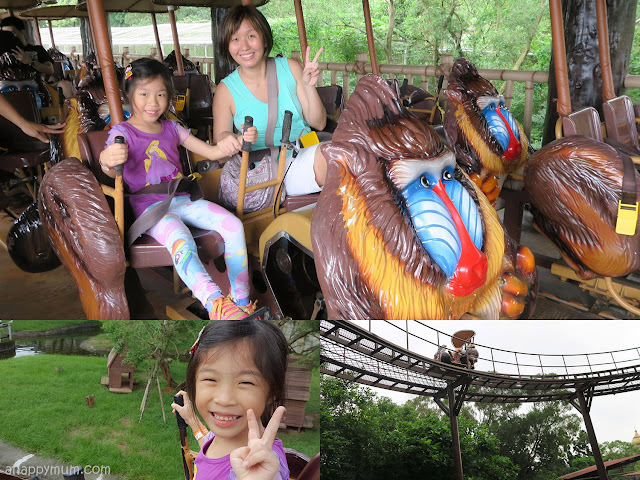 Thankfully, our trip only consisted of two attractions - LeoFoo and Flying Cow Ranch, and we spent the rest of our week long holiday in a friend's house. 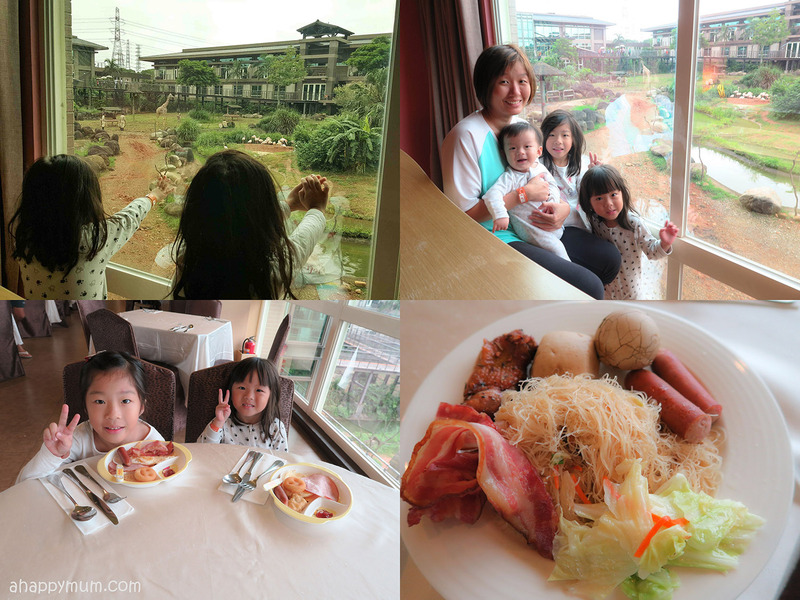 So, we opted to stay for two nights in LeoFoo (and burnt a hole in our pockets) so that we had ample time to enjoy the resort itself and explore the theme park too. 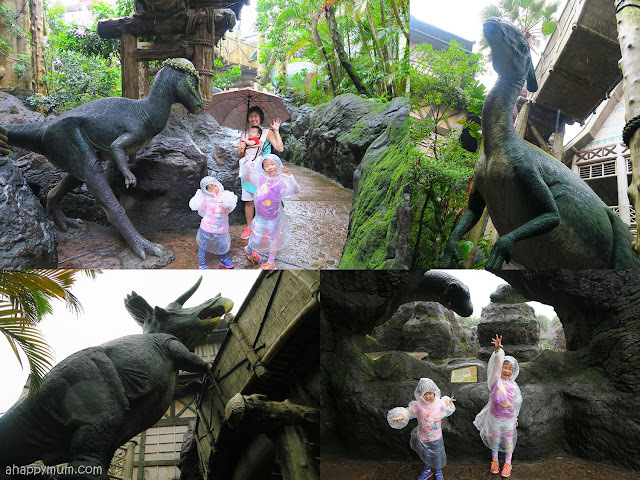 I knew that my girls would thoroughly enjoy the theme park, which only opens to 5pm in June, and two days might not even be enough for them. And I wasn't wrong. For the theme park opening hours, go here. 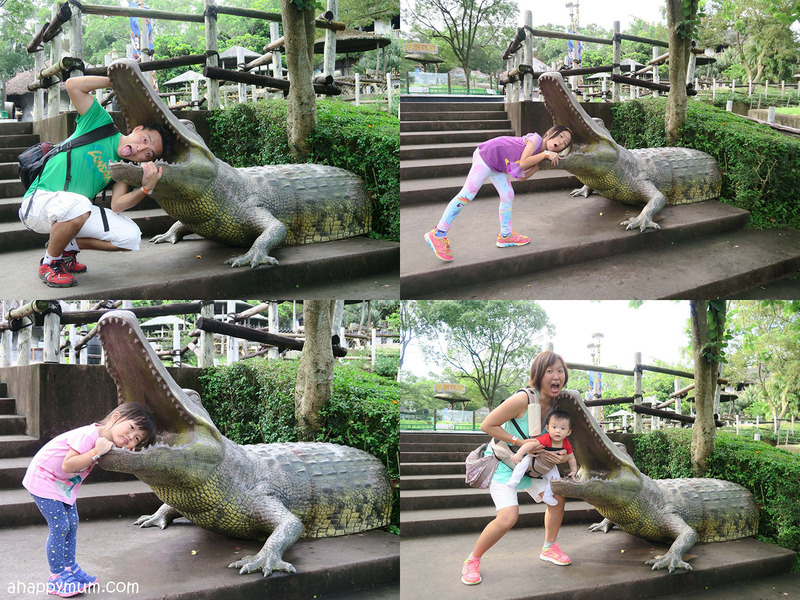 For breathtaking pictures of the resort and theme park, visit Life's Tiny Miracles post here. By the way, this was Baby Asher's first ever holiday at six months old and I was so proud and relieved that he survived the flight, the trekking (not that he needed to walk), the strange environment and the crazy long hours we spent outdoors (basically we were out for 8-10 hours everyday) . It was also the first time we were travelling with three young kids and hooray, we managed to not just survive but have a ball of a time. Now, let me show you our room! So I heeded Bumble Bee Mum's advice and got ourselves a Congo Greenery Room in the Giraffe Wing. Not only that, we managed to get one of two rooms with the best views, according to her analysis - and that is Room 116. Now, I have to remind you that this is a resort after all so don't expect top notch cleanliness, first class service or exquisite rooms. One thing the hubby and I have in common is that we usually don't have very high expectations and so anything good that comes our way is a bonus. We seldom complain about food, we seldom complain about our rooms, we seldom complain about service. Yup, there is a reason why I'm a parenting blogger and not a travel or food blogger, you know. 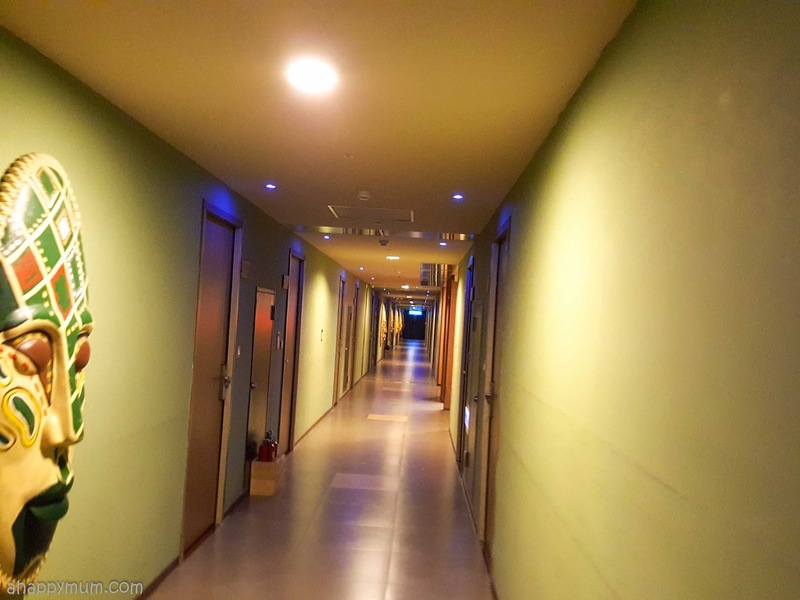 Moving on to the room, well, I can't say it was overly fantastic but it did have everything we needed and more. There were two queen beds, a seating area with bar stools, a dressing area, a storage area, a separate shower and toilet, and touches of the Safari theme here and there - including the elephant and sunset painting on the wall, the tiger print lamp shade, the picture of a monkey on the shower curtain and the leopard print bench. It was definitely bigger than many of the hotel rooms we've stayed in. Now if you remember, back in Ölands Djur & Nöjespark in Sweden, we had our first taste of a safari resort experience where we lived in a cottage and woke up to zebras, peacocks, gnus and ostriches right outside the porch. That was the time where we had to cook all our own meals, kill flies and worry about insect bites (which was yet another kind of memorable and fun experience). Thus, considering we could settle all our meals in the restaurant in LeoFoo, stay in a relatively clean room where we are not subjected to animal howls or foul smells through the night, I kind of think it was already a treat. 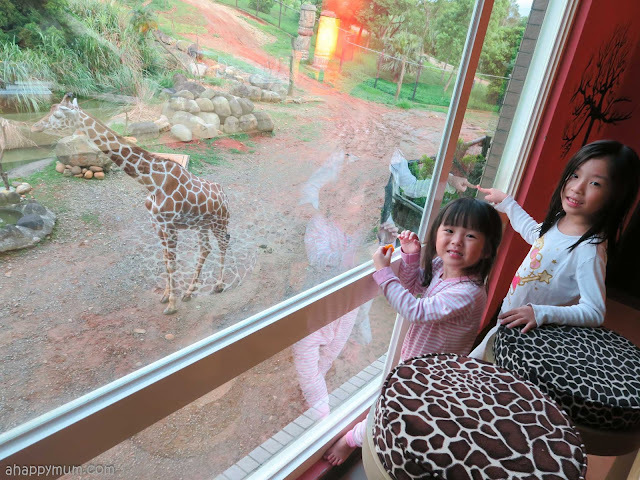 Best of all, you get these happy smiles when you wake up in the morning to the sight of giraffes right about your window. Now, that's priceless. Now, I've said it, we are not food connoiseurs and perhaps we (or maybe it's just me) don't really know how to appreciate the fine food in life. 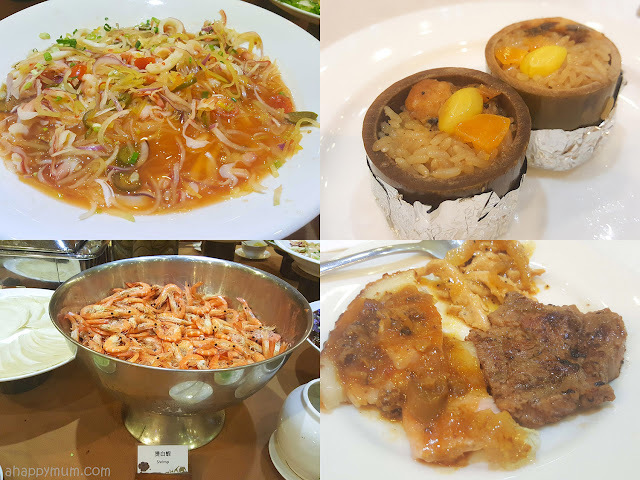 Yeah, I've never been a fan of bird's nest, durians, abalone, caviar, truffles and lobsters. 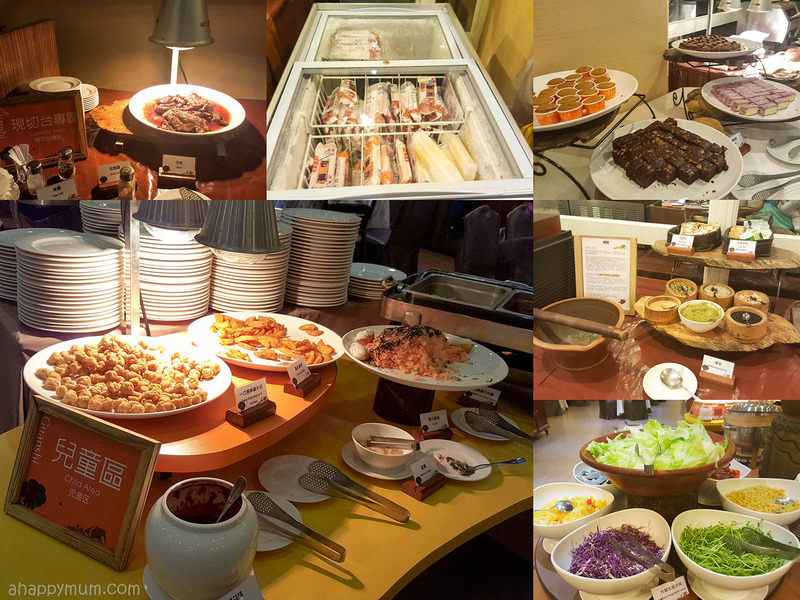 So while we thought the buffet dinner and breakfast served in the Phoenix Restaurant (Level 2) in LeoFoo Resort was not the best, it was actually not too bad too. I mean, we got to eat lots of fresh prawns, I liked the sotong, there was a unique 竹筒饭 (steamed rice in bamboo), a vegetarian section, a carving area where you could get hot, roasted meat, free flow of ice cream, and even a kids section where the little ones could come over to fill their own plates since the table was made at a lower height. This was also where we had our breakfasts and I think it more than sufficed for us to share a plate of fried beehoon, some congee, cereal for the kids and the usuals like ham. cheese, bacon, eggs, hash browns and sausages. Oh, they also had 茶叶蛋 (herbal tea leave eggs) and we loved those! 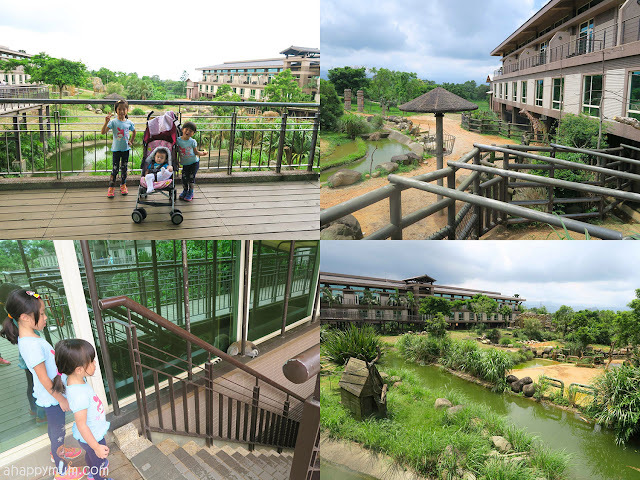 Similar to the guestrooms, the restaurant also features full bay windows which I think was the highlight of our meal as the kids got to enjoy an awesome view of the animals as they tucked into their first meal of the day. We did hear that the Cape of Good Hope restaurant (Level 1) serves decent ala carte food too so you might wanna consider trying that too when you visit. 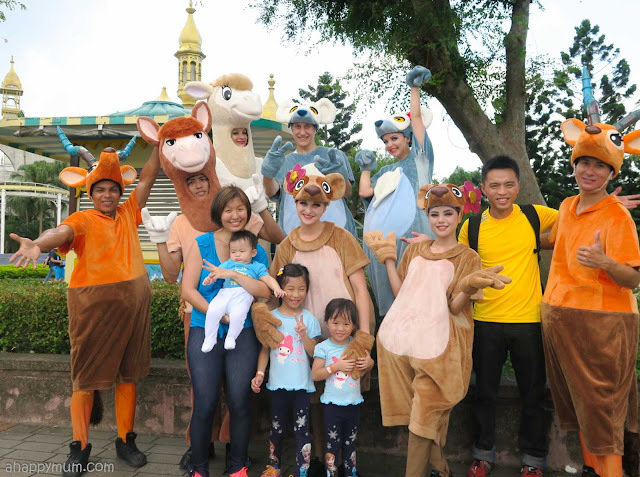 An unique selling point of LeoFoo is that it allows guests to have intimate encounters with the animals! 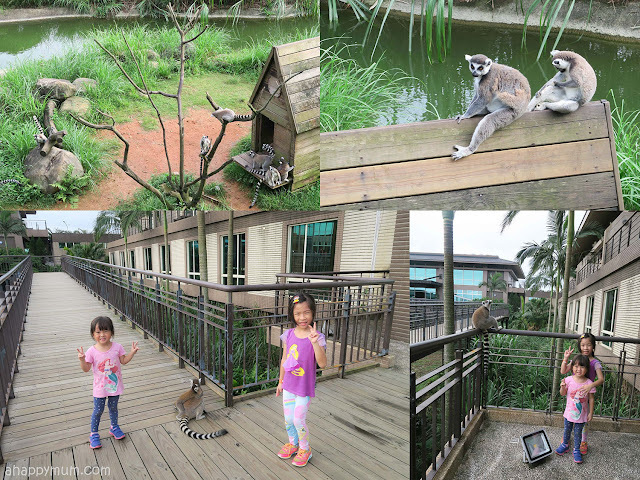 We were told that the ring-tailed lemur is the animal mascot for LeoFoo and so you bet we were greeted by them every time we walked into the resort. Did you know? The ring tailed lemurs are a female dominant species, yes this means the females are in charge and they get the best food. Also, while the adults have bright yellow eyes, their young have blue eyes, how interesting, right? 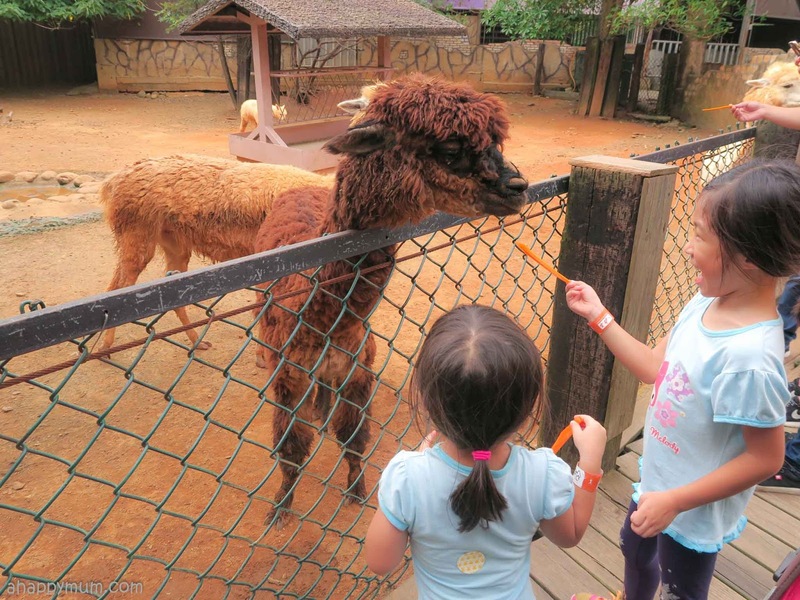 At LeoFoo Resort, besides a farm introduction where you get to learn more about each type of animal, you can also top up a fee to do things that you might never do again, like feed the lemurs or wash the tortoises. 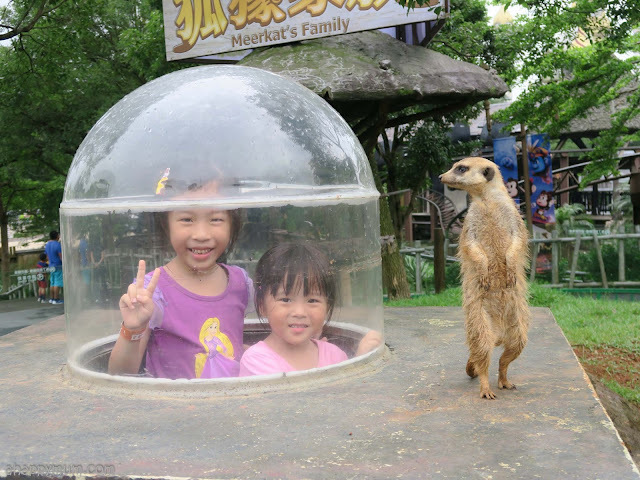 This can be great fun for the kids who are animal lovers and will definitely leave behind fond memories. 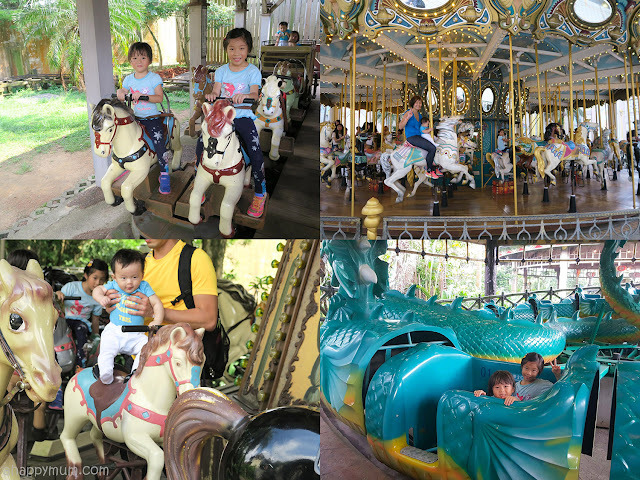 Check out A Million Little Echoes' post here to read more about the activities. 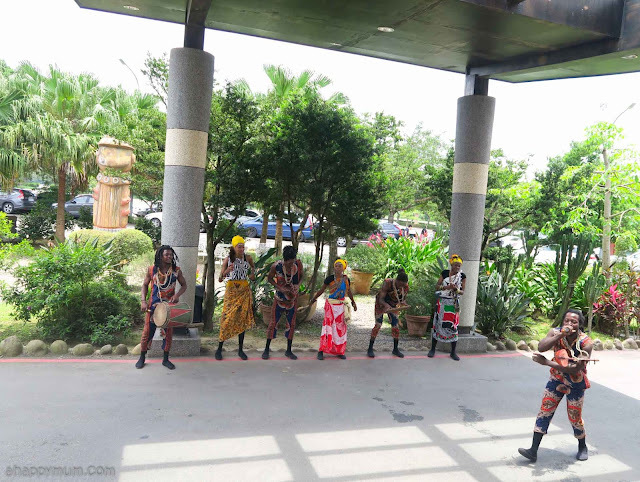 You probably know that the girls love to sing and dance, so we can never 'No' to a dance performance, much less a high energy, African dance that makes you wanna stand up to join in the fun. The hubby thought this might be a rain dance. I was impressed by how they could shake vigorously, non-stop! 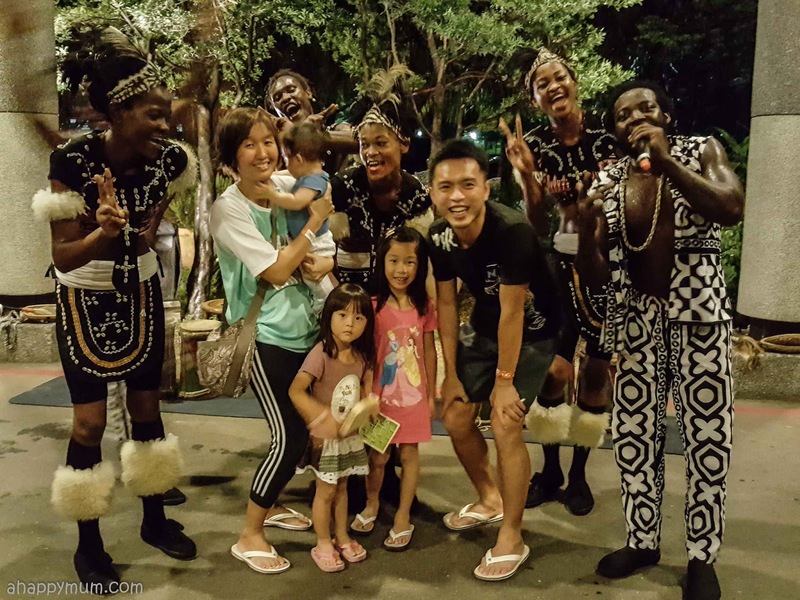 We watched this show, which was held at the main entrance of the resort, not once but twice during our stay because the girls were really fascinated and you bet they were super excited when the dancers asked them to join in and dance the night away. 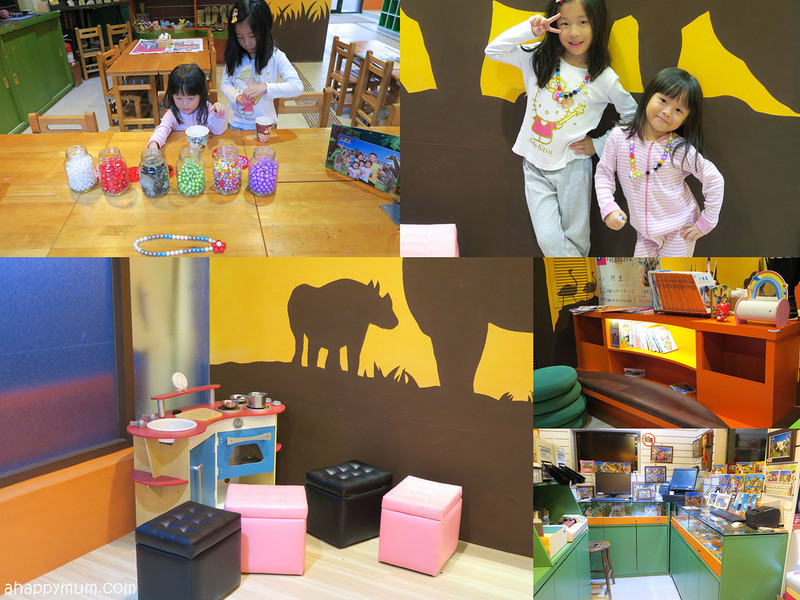 At the Lion King's Play Room, which is a short walking distance away from the resort (it can get a little dark along the road at night), you can also find a photography studio, a small kitchen play area to hang out, some books for the kids to read and an array of DIY activities to participate in. 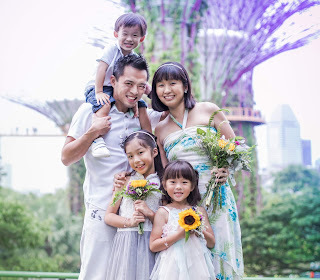 We were told upon checking in that we could get a complimentary wallet sized photo so we came by to take our family shot, which we eventually topped up to get a 5R picture for keepsake. Yup, their tactic worked. Anyway, since the place was opened till 8pm on most days, we strolled over after dinner and let the girls pick out a craft activity to do which made them very happy. You can choose to paint a kite, write a postcard, make animal clay sculptures, string bead necklaces and so on. My girls chose to make rainbow bead necklaces and were kept entertained for over half an hour! 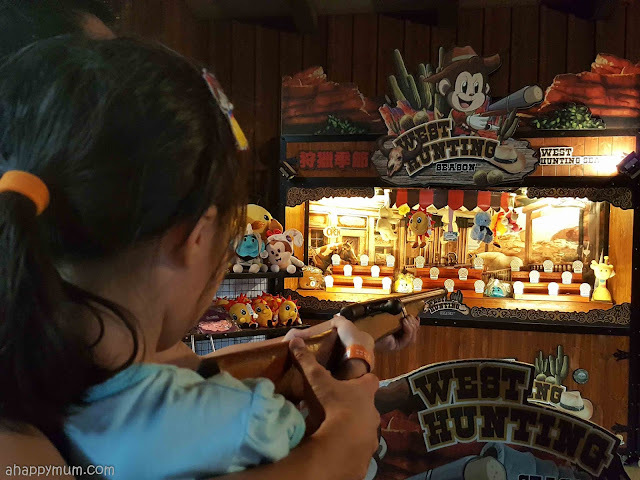 Other than that, you can expect the resort to be quite uneventful at night, which gives you a good reason to tuck the kids in early so that everyone can rise early the next day and continue with more fun-filled adventures! 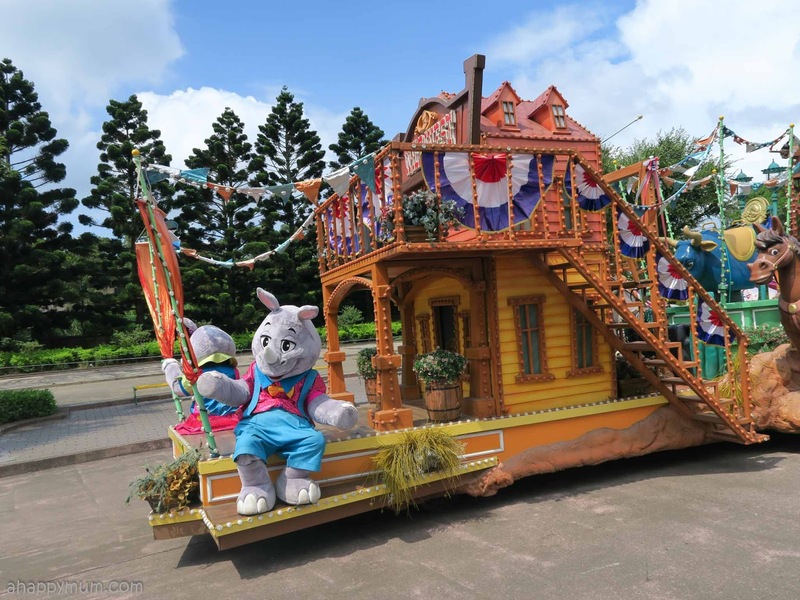 Moving on to the theme park, it is situated at a less than five-minute ride away from the resort and anytime you wish to go over, the reception will arrange a van to take you there. I must say I was pretty impressed with their efficiency because we never had to wait for more than five minutes for a van to come pick us up. 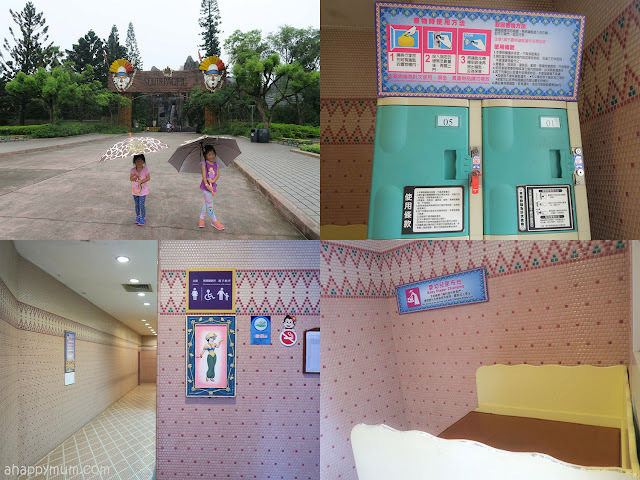 On the first day, it was raining and the staff even brought spare umbrellas when they came to pick us up from the theme park to go back to the resort and sheltered us in pairs back to the van. How thoughtful! Wait, did the rain dampen our spirits? Well, not at all! We bought ponchos for the kids and they looked even more excited to begin exploring! Before I go on, now if you are thinking theme park refers to the likes of Dreamworld (did you hear about the tragic accident that happened there this week?) 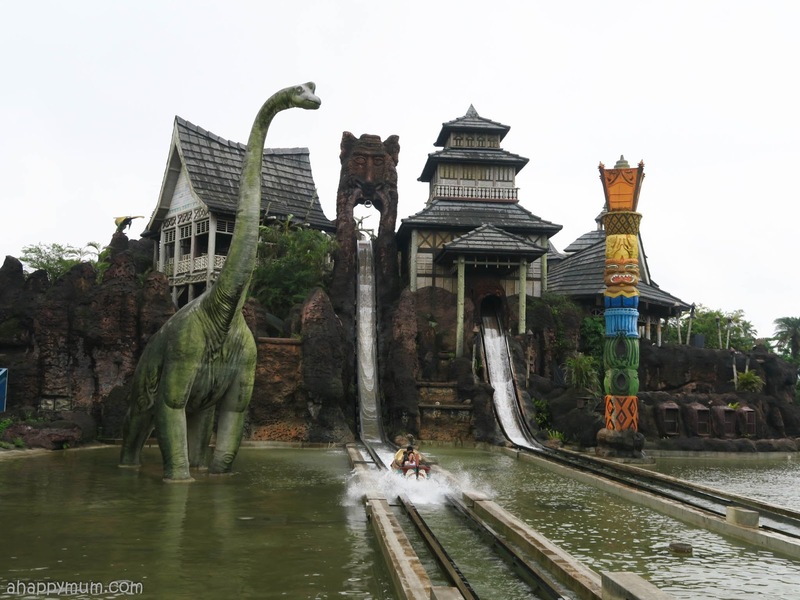 or Disneyland, then think again because LeoFoo Village Theme Park is nowhere close. In fact, it might a tad old, rusty and not as whimsical as you might expect. But guess what? 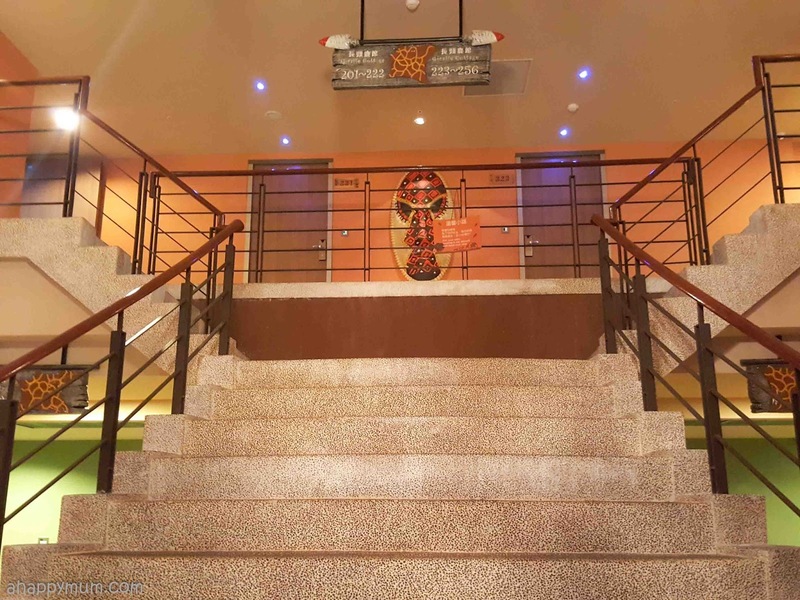 We do love it because there is a rustic charm about the place, in addition, it is one of the few places we have been to that has a safari area where you get to come up close and interact with real animals. 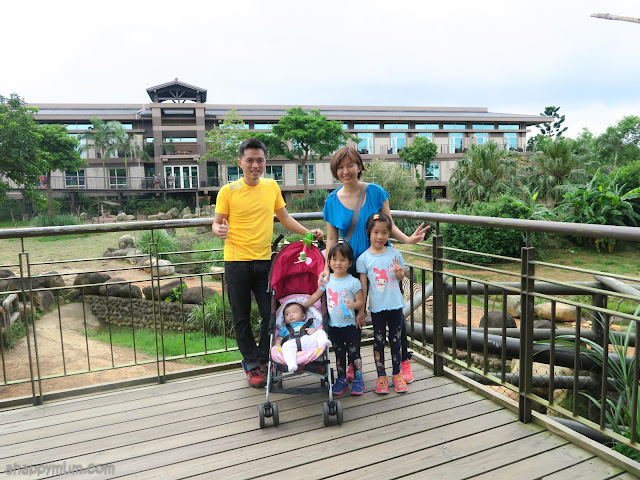 We saw that there was a water park which was under construction at the time of our visit, so when that reopens to the public, kids can look forward to a splashing good time. 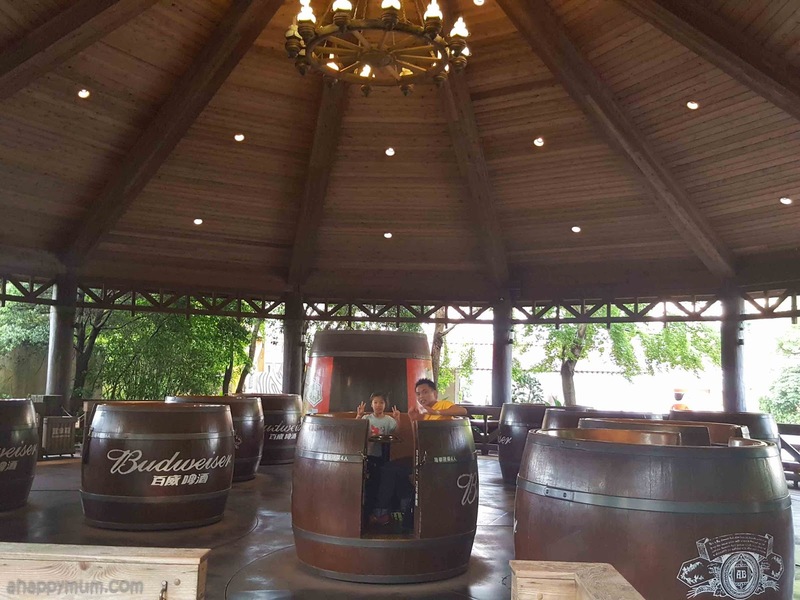 In any case, we spent two days in the theme park and my kids would have loved to stay for more if time and money allowed. Inside the park, there are four themed areas, namely Wild West, South Pacific, Arabian Kingdom and African Safari. 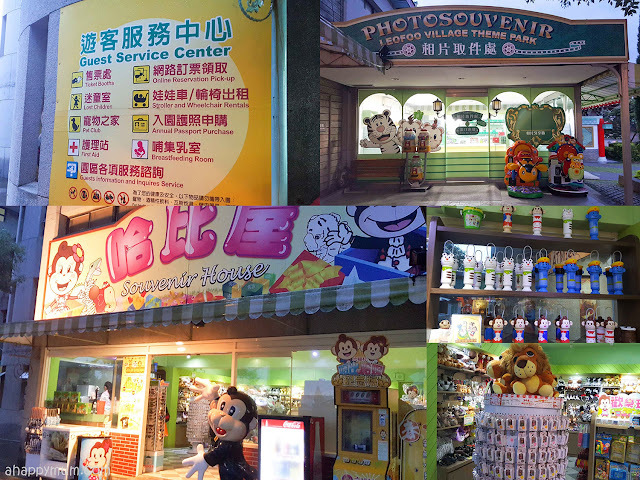 Right after the entrance, you can find souvenir stores where you can purchase your photos, swimming gear, daily necessities or souvenirs to bring home. 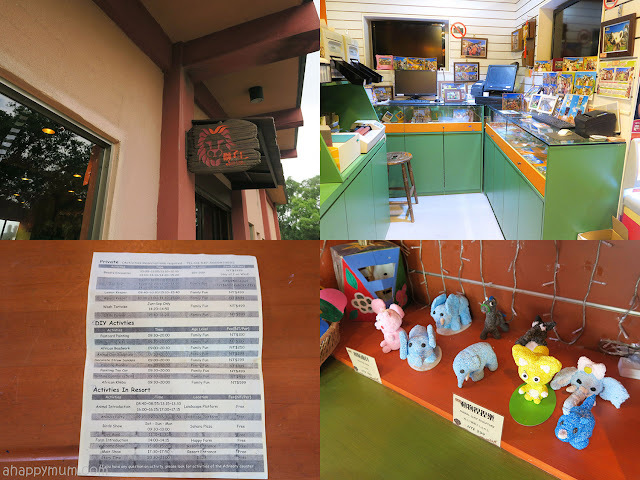 There is also a guest service centre where you can rent strollers and wheelchairs, purchase annual passes, get first aid or use their breastfeeding room. I saw that there was also an opportunity to get up close with lemurs in the park but a check with the counter staff told me that you need to make your purchase at least 2-3 days before because it is that popular. For those who need, lockers and changing tables are available in the washrooms inside the park. I was definitely relieved to see the latter! And before I forget to say it, this park has to be the most baby-friendly one I've been to! Why? 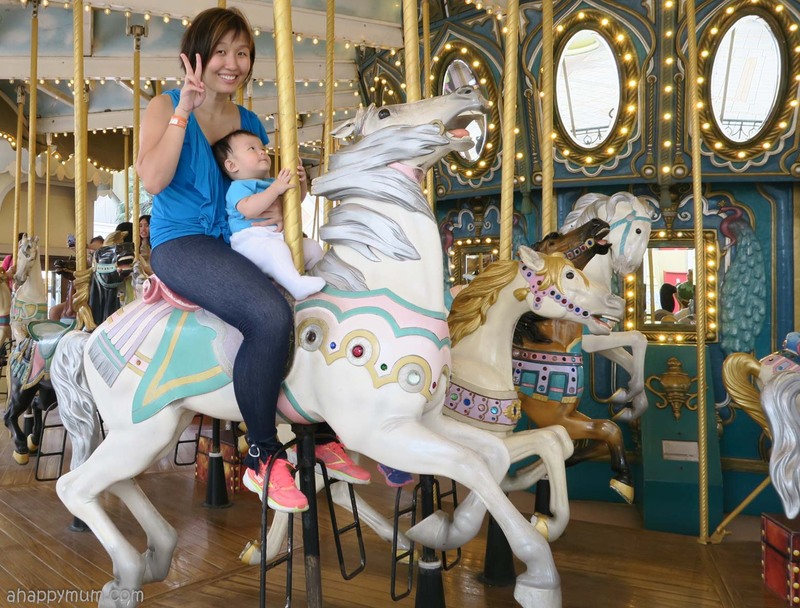 Because the 6-month-old got to ride on his first carousel! And he also rode in trains, on flying birds and even a Pegasus ride that took him on a journey in mid air. Yes, they allowed him to board when he was in a baby carrier, which was really unexpected because we normally get rejected in every other place. Okay, I hear you, I know about the danger of the rides and I'm pretty sure I will keep my baby safe, thank you very much. We are the kind of parents who brought our firstborn onto a ski lift that overlooked the Alps when she was just over one year old, so yup, I do believe parents know best when it comes to their own kids, so let's all try not to judge other fellow parents, yeah? The African safari was a big hit with the kids despite the fact that we didn't manage to explore every part of it. 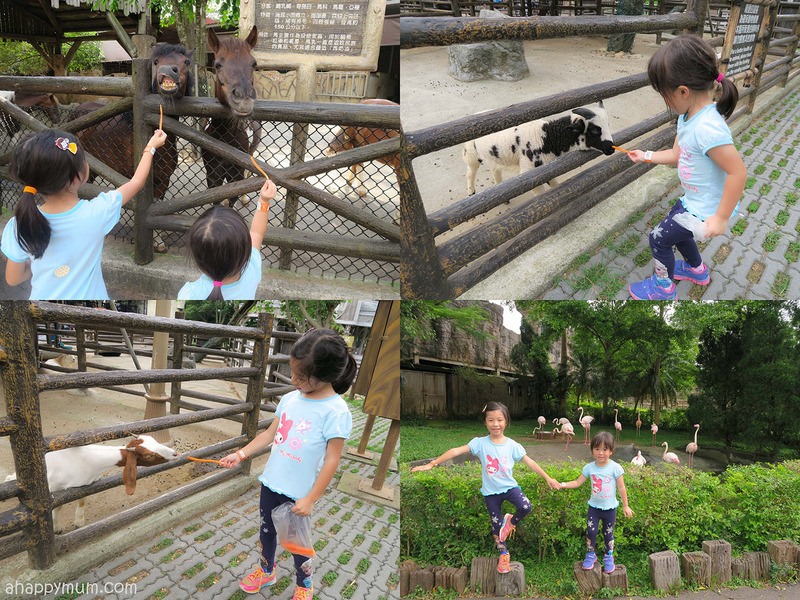 The fact that they can never get tired of coming up close with animals is probably the reason why we keep renewing our Zoo membership year after year. 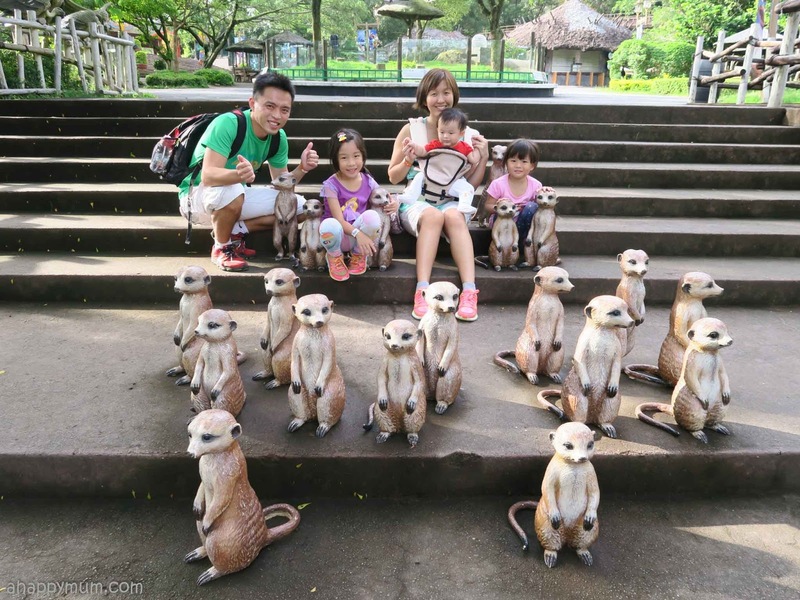 The first thing that caught our eyes when we stepped in was... the meerkats! Okay, these were not real, but don't they still look super cute and make for a great photo opp? I especially loved the cool-looking one who was standing upright at the tip of the entrance. So, how would it be like if the girls got to meet a real meerkat? 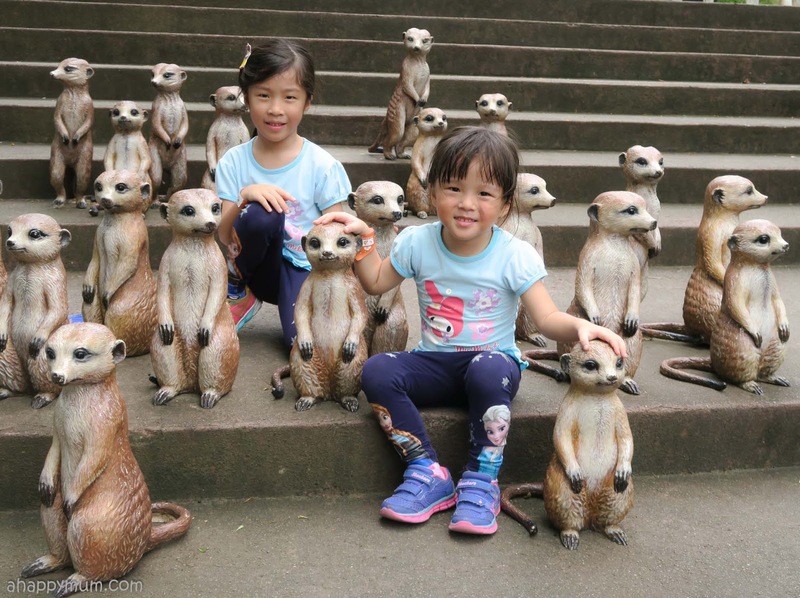 With a stroke of luck, the girls managed to snap a shot with this cute little meerkat who scampered up to take a closer look at them. I swear, if I was one tenth of a second slower, we would have lost the chance to have this photo as a keepsake. Thank you, little cutie, for making our day! Other than admiring the animals from far, the best treat for the kids was that they got to feed them not once, not twice but many times too! We bought some carrots to feed the horses, goats and even llamas - a first for all of us! 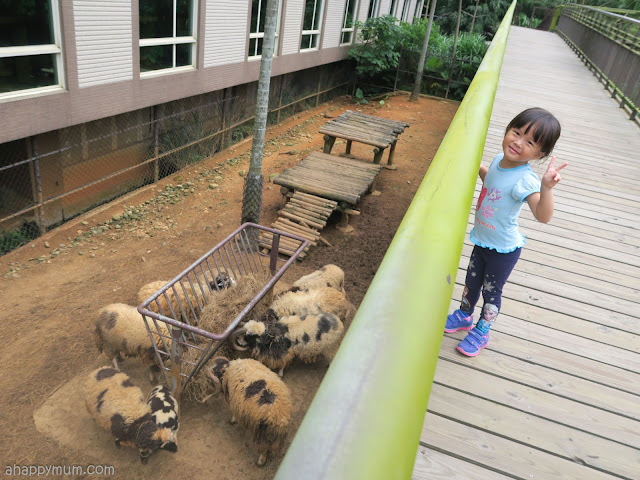 We saw some kids who were a little scared when it came to feeding the animals and would pull their hands away when they tried to eat the food. But, for these two, I don't think fear was in their minds. In fact, they probably find it more fun than anything. Feeding the goats and letting them lick her palm. She looks more tickled than scared, right? 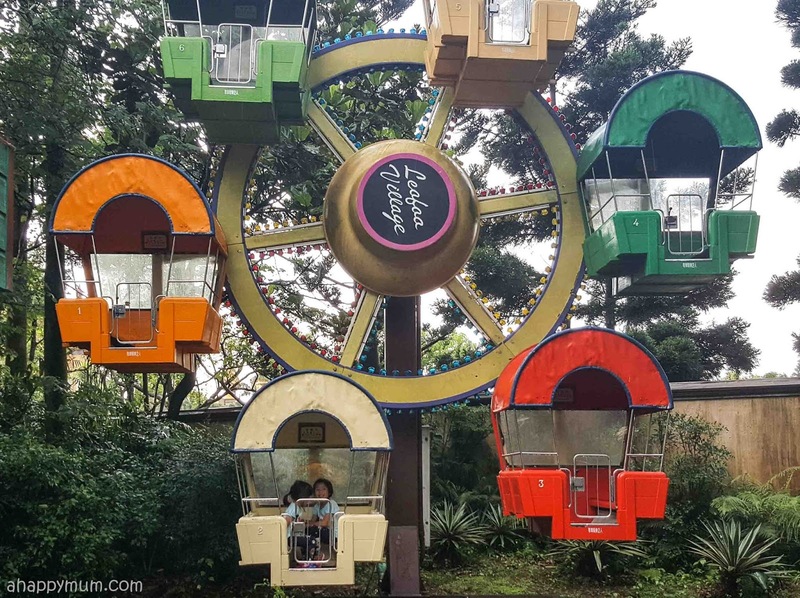 So, while the hubby and I didn't get to try more of the thrilling rides meant for adults, we did take turns to go on kiddy or slightly thrilling rides with the kids. Yes, it's all about family bonding time on this trip. 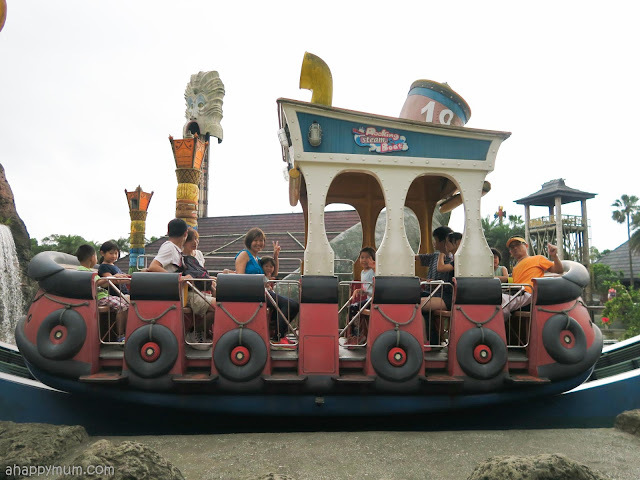 It really made a difference to me that the baby was allowed on so many rides and they were also not strict with Ariel when it came to the minimum height limit. Yup, you bet this little daring toddler was elated to be able to join her big sister on so many fast, spinning and exhilarating rides. I'm not going to bore you with the names of each ride (basically I'm just lazy to go research) but here are some pics and gifs for you to get an overview of what you can expect. 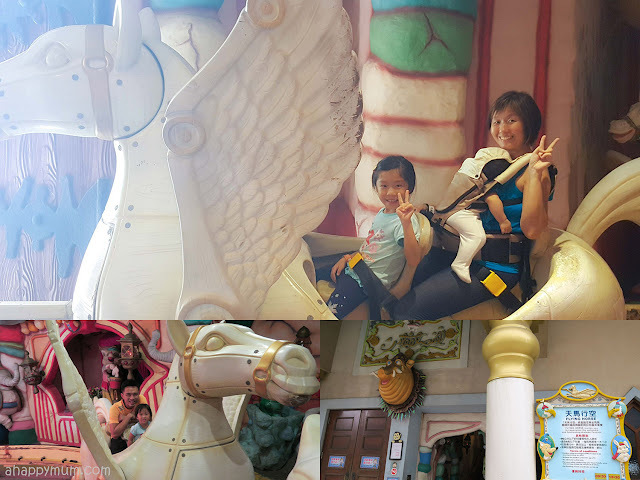 The Pegasus ride that took us on a journey mid air. Yes, baby boy was snug and safe! The girls took turns to sit on this ride with me and it was one of our favourites! Cannot stop pedaling or you'll stop! 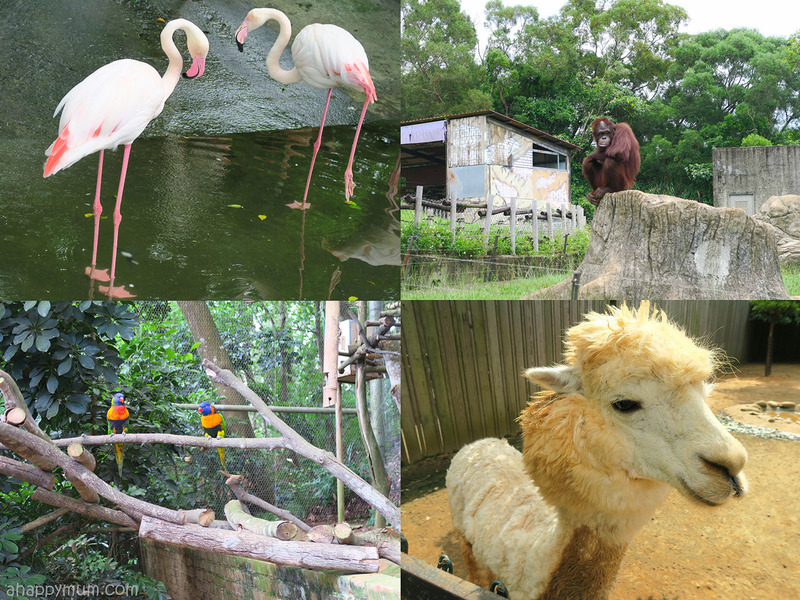 We came up close with monkeys, baboons and gibbons and even rode over a white tiger! Besides rides, we also played shooting and ball throwing games too! Always up for a challenge with the hubby! 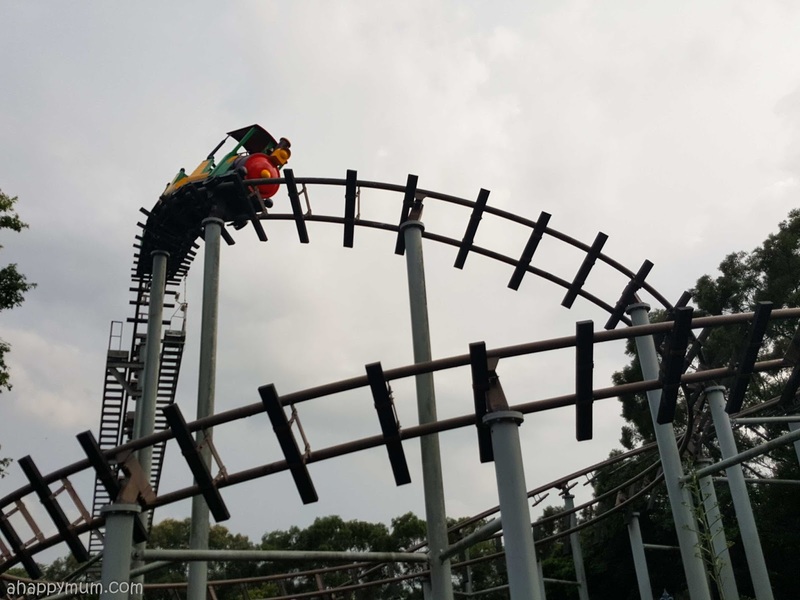 One of the more thrilling rides in the park - Mighty Mountain Flume Adventure. Nope, didn't scare the big girl. Now, that's not all and to think that we already spent two days in the park! I thought it didn't look that big from the map but it turned out that we still didn't manage to cover all of the rides. Well, that just gives us another reason to return in future? Talking about food in the theme park, you can be sure to find fast food like burgers and chips. 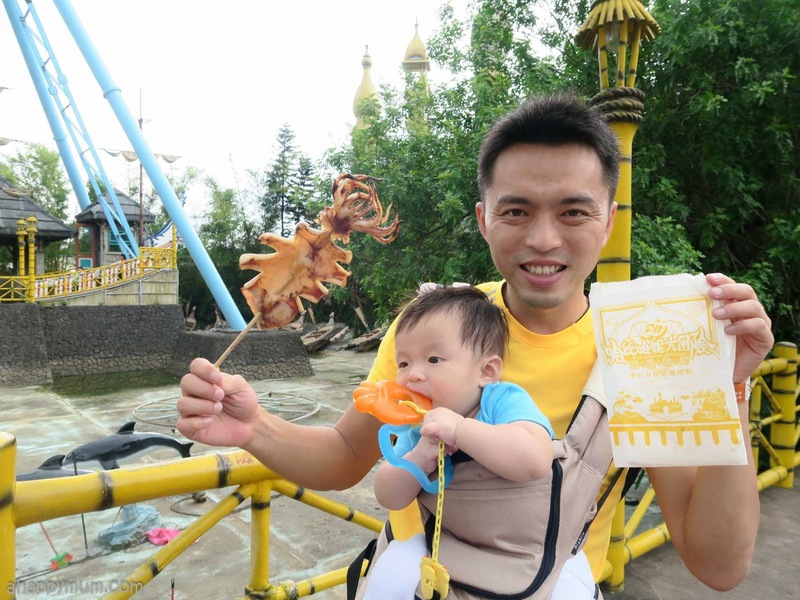 What we loved most was this stall that we came across in the African Safari zone which had Chinese cuisine such as beefball noodles and the pork chop and fried drumstick were very appetizing too! Yums! Last but not least, we were also lucky to be able to catch the parade! Yes, there IS a parade. 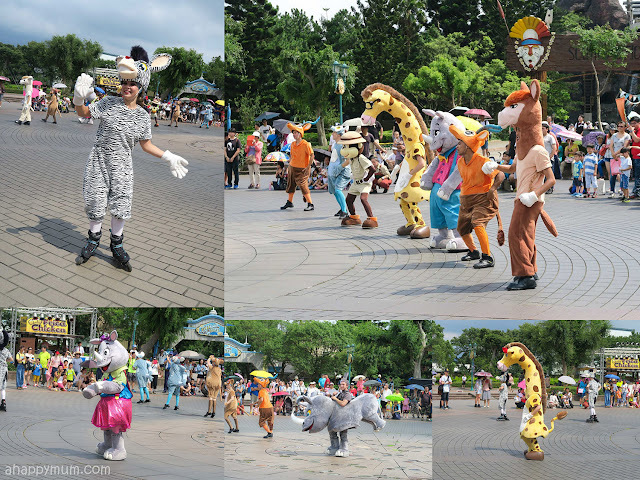 Even though their floats were not elaborate and the dance choreography was not mind-blowing, it turned out that we did enjoy this mid-afternoon segment very much. 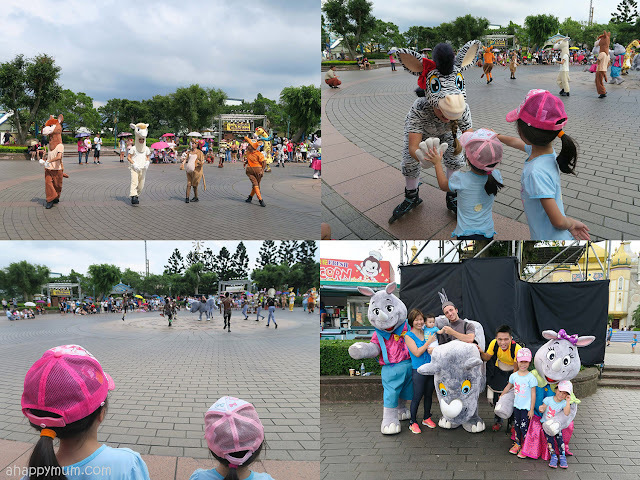 The girls were captivated from start to end and they were exceptionally excited when the mascots came over to give them high fives. Awww. I love how my kids are so easily contented at this stage of their lives and hope with all my heart that this trait will follow them always. So, it was time to boogie once more, this time round with all the animal friends! Thank you all for bringing so much joy to our kids that day! All in all, we might have burnt a hole in our pockets but this whole experience in LeoFoo was totally well worth it. In fact, I think the kids will definitely want to come back if we were to visit Taiwan again. In my next travel post, I'll be sharing with you about the second highlight of our trip and that is Flying Cow Ranch! Stay tuned! To see more of the world through our eyes, visit my Travelogue page here. 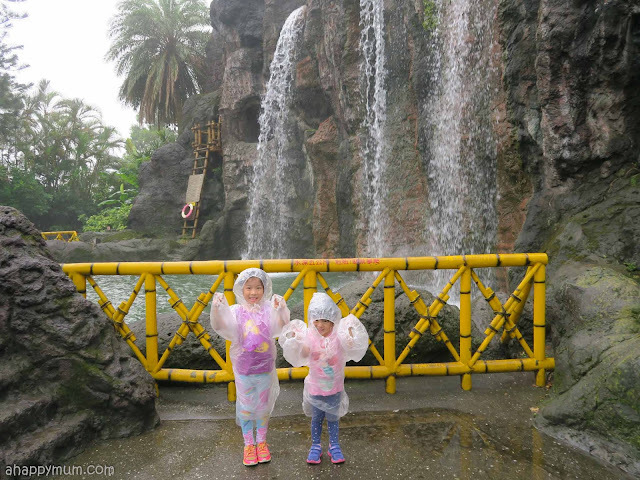 What a comprehensive blog post, Summer and taking 3 of them there and still keeping a positive attitude despite the rain, totally get props from me. Read so many wonderful experiences at Leofoo Resort from yourself and the other bloggers and we wanna visit someday too. Taiwan is such a lovely country and there are so many parts in Taiwan we've yet to explore.